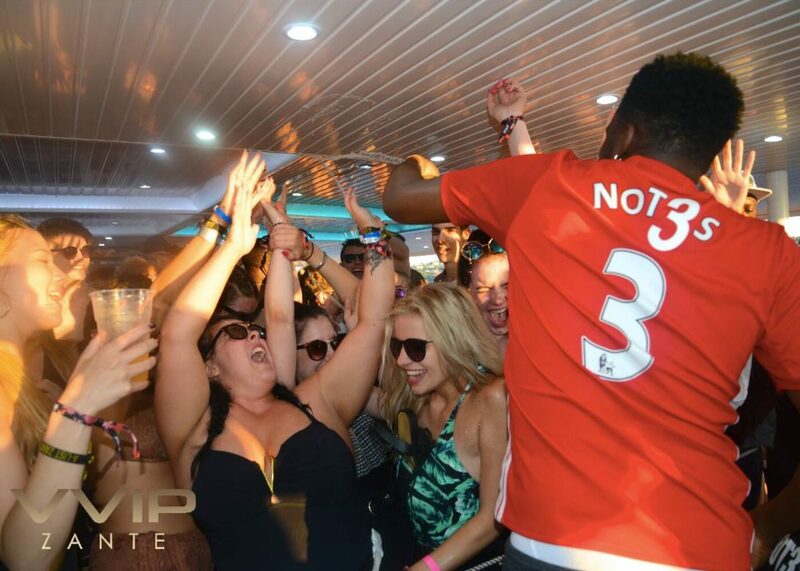 A boat party is a Zante essential but…. Not all boats are created equal! 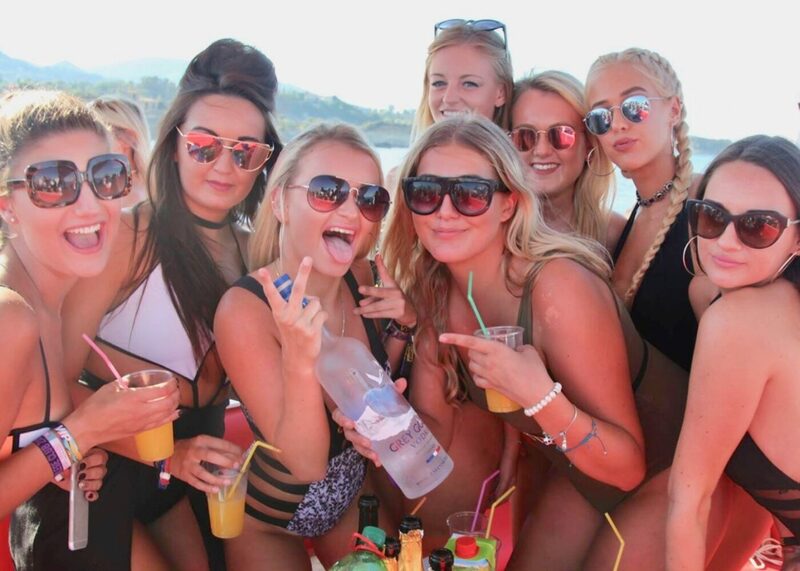 A big reason 5 times as many people choose VVIP is because our venue is the best available for a boat party in Zante – there’s nothing in the same league in the harbour. Our Super Yacht ‘Ikaros Palace’ allows 300 people to party in style and comfort over 3 large decks – this is a boat you can actually move around and DANCE onboard. 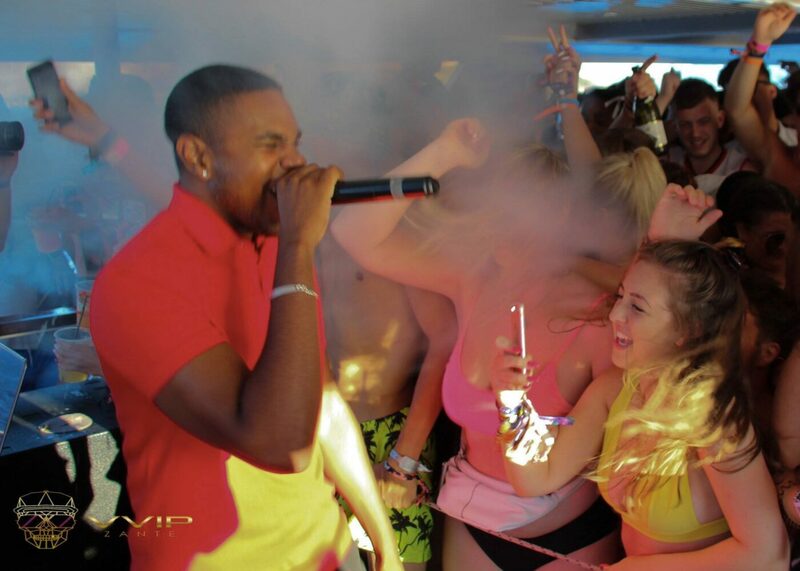 With VIP tables, 2 dance-floors, 2 bars, 8 bathrooms and a HUGE sound system our amazing venue is why VVIP is widely regarded as the best boat party in Europe. Experience a 4 hour sunset cruise around the Zante coast visiting a beautiful private cove for a swim stop and champagne spray beach party. Onboard VVIP enjoy quality music & live entertainment whilst soaking up premium alcohol and simply stunning scenery. 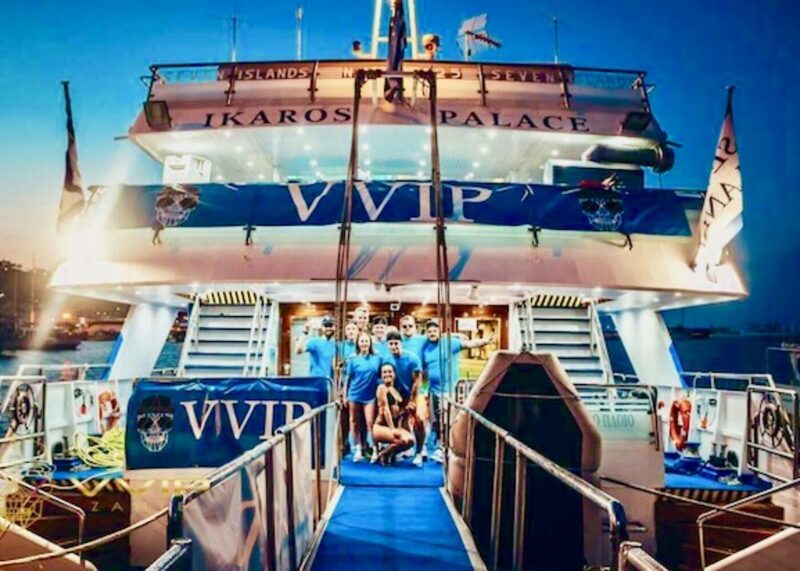 VVIP Yacht Party has been operating successfully for 7 seasons in Zante with the same experienced crew in charge and our mission is to show you the best night of your holiday in Zante – look forward to it! THE BEST EVENT IN ZANTE? 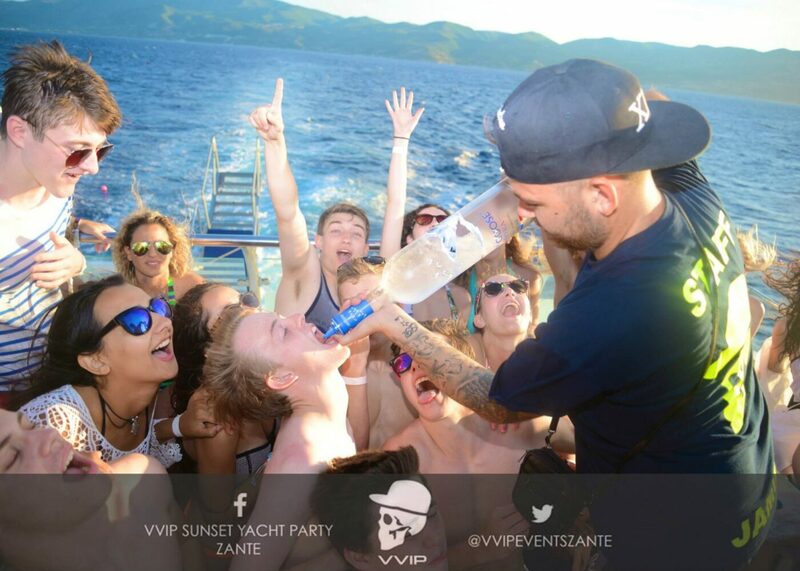 VVIP is the most requested event ticket in Zante with 8,000 people reserving their tickets online every Summer; we sail 5 times a week to cope with demand and we’re ALWAYS fully booked, therefore reservation is essential. 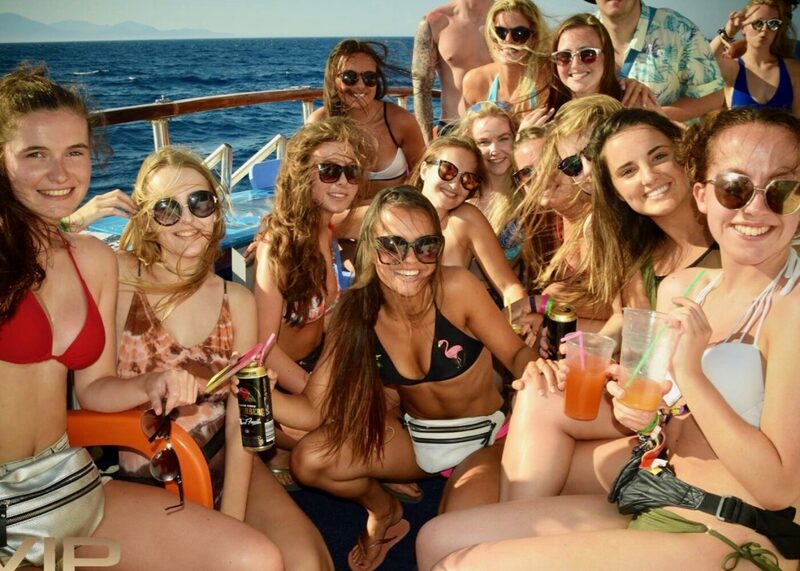 Awarded ‘Best Event in Zante‘ by the Naked Zante nightlife guide, there’s no better option for a boat party in Zante, but don’t take our word for it! The 5 star reviews we receive every week are another big reason why the VVIP Sunset Yacht Party is the most in-demand event ticket in Zante. Unfortunately, there’s a few unscrupulous ‘promotors’ in Zante out for a quick buck who have no qualms about lying their asses off to take peoples money and we do feel the need to warn you about it. 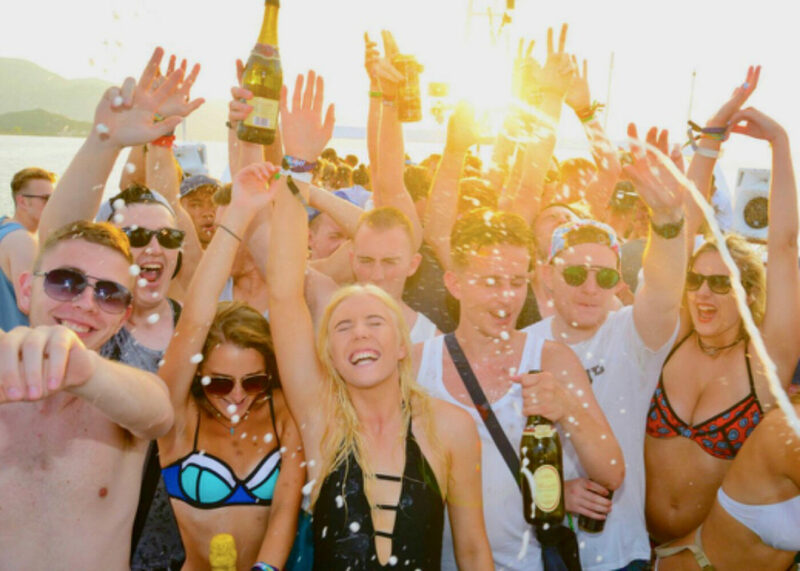 Closed Facebook groups claiming to be ‘Official’ will try to sell you a ‘floating festival’ promising special effects, huge international DJ’s and celebrity hosts. Marketing gimmicks like £1 deposits and ‘free bars’ are used to get your card details, then they bill you the full amount the next day. However, the reality when you turn up is there’s no festival, or special effects, or celebrities or huge international DJ’s – it’s just a smokescreen to take your money. They don’t care if you complain as there’s plenty more suckers next week. Do your research is our strong advice when booking any event in Zante; if it sounds too good to be true then it always is. A golden rule when booking a boat party is to check out WHAT BOAT you will be going out to sea on! 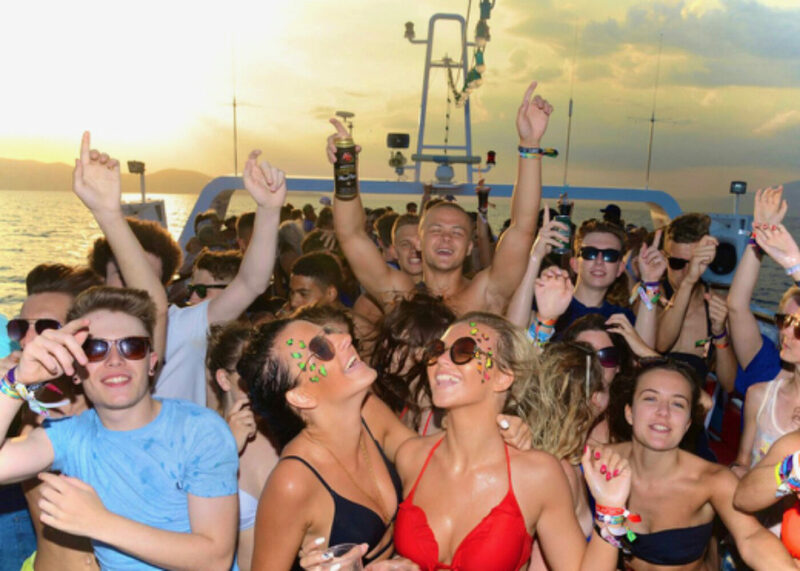 You can check out our venue from all angles on our video page and also get a taste of the absolute SCENES you can expect onboard VVIP, this is what a real boat party looks like.